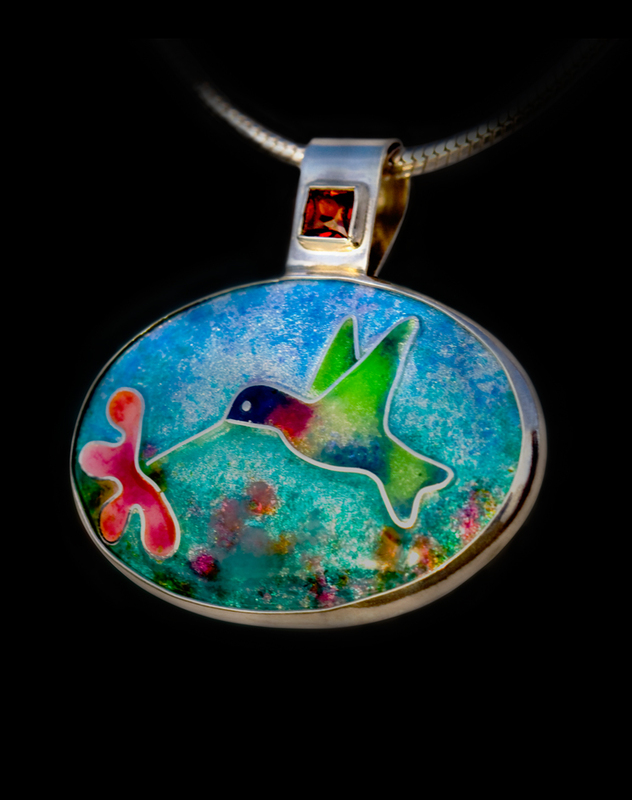 An oval pendant with vibrant colors features a scene of a hummingbird feeding from the nectar of a flower. A Square cut garnet on bail adds to this youthful piece. Cloisonne enamel on fine silver set in sterling silver. Pendant includes 18 in sterling silver snake chain.